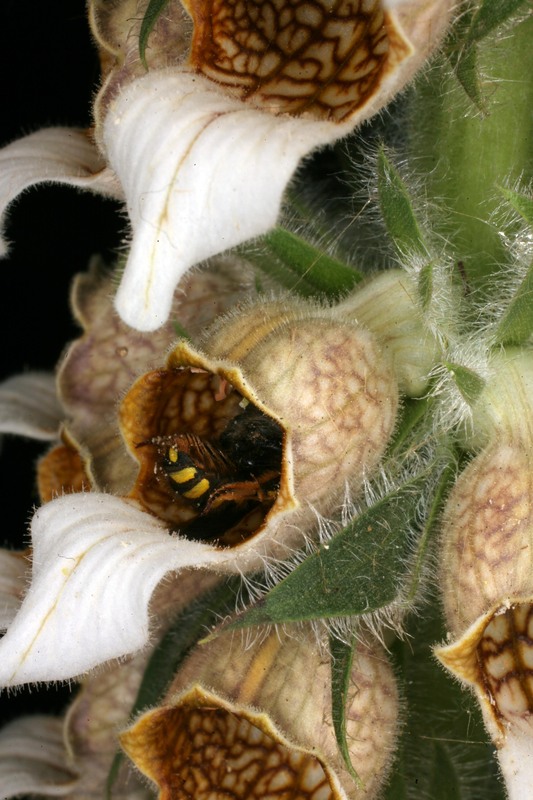 “In the summer, in the College garden, the woolly foxglove, Digitalis lanata, is visited by little bees which become stuporose and lie upside down in the flowers, seeming unable to fly away when disturbed.” –Dr Henry Oakeley, Garden Fellow at the Royal College of Physicians (RCP) Medicinal Garden. I became fascinated with the idea of ‘poisonous honey’ when I worked at the College. Watching bees foraging on the intoxicating inhabitants of the physicians’ Medicinal Garden, my imagination ran wild with thoughts of insects tempted by sinister sweetness, putrid pollen and foul fruit. What seductively dark nectar would the bees return to the hive to convert into undesirable honey? When I asked Henry, he told me the story of the bees in the woolly foxgloves and he kindly sent two beautiful photographs taken in the College garden. © Dr Henry Oakeley | Poison honey and a whodunnit bee too, how exciting! Anthophora or Anthidium manicatum? See Mark’s comments below. The colour and flavour of honey comes from the variety of nectar sources visited by the bees. From spring mint and summer blackberry to autumn woods and bitter ivy, the taste and smell of honey can evoke intense reactions, not always good. The strong flavour of privet honey, for example, is described as ‘objectionable’ in Collins Beekeeper’s Bible, while Ted Hooper in A Guide to Bees & Honey confesses: “I cannot say I have ever found much wrong with it”. But whether you like ivy, heather or rapeseed, ‘unpalatable’ honey is a matter of personal taste. What, then, of honey with truly ‘undesirable’ qualities from the nectar that is gathered, being harmful to bees or humans, or both? In this post, I’m going to look at the possible toxicity of honey from the nectar or pollen of plants rather than artificial contamination. “Just when you thought that honey was always a wonderful health food,” says Henry, pointing me in the direction of rhododendron – a common culprit of toxic honey that can be harmful to bees and humans. According to Wikipedia, a chemical group of toxins called grayanotoxins found in rhododendrons and other plants of the family Ericaceae may, very rarely, cause a poisonous reaction of ‘honey intoxication’ or ‘rhododendron poisoning’. 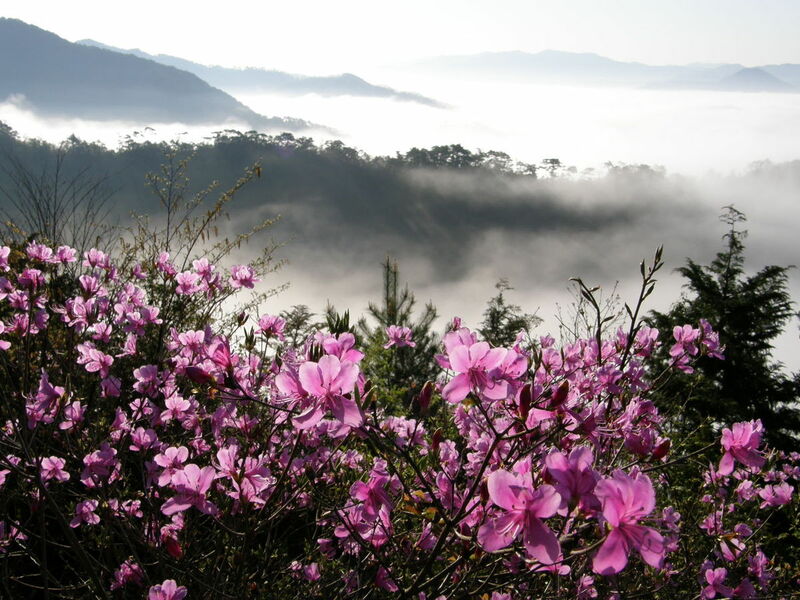 Image: Rhododendron and vast clouds in Japan | 松岡明芳 via CC BY-SA 3.0. Xenophon and his Greek army retreated ill from Persia in 399BC as a result of ‘toxic honey’ and Pompey’s soldiers fell foul of ‘maddening honey’ in the Third Mithridatic War in 65BC. These historical accounts name varieties of rhododendron honey as causing a “feeling of drunkeness, to vomiting and purging, and madness that lasted for days” (Collins). A botanist’s tale of poison honey is given by Frank Kingdon-Ward (1885–1958), during his travels in northern Burma towards Tibet. He recounts symptoms similar to acute alcohol poisoning, suffered along with his travelling companions, after eating honey produced in the rhododendron season. The local Tibetans ate the honey without ill effects (Collins). 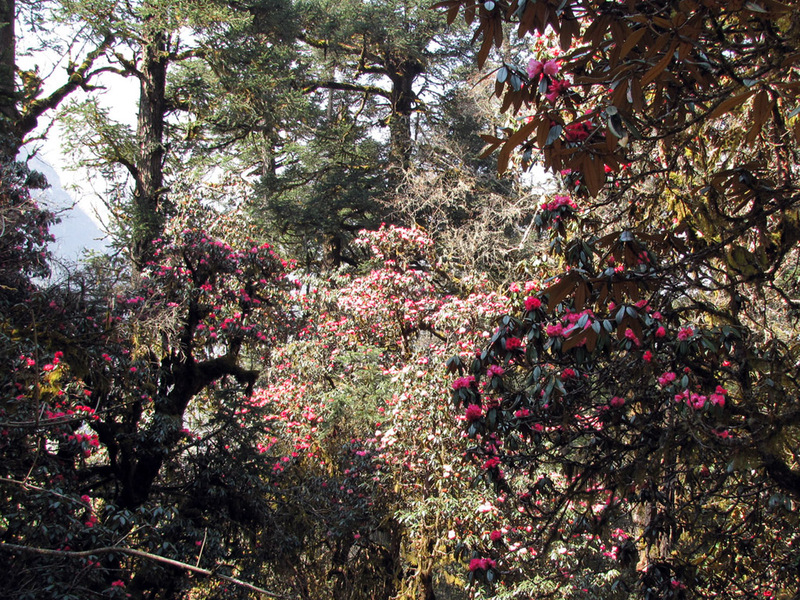 Piers Moore Ede vividly describes sipping the ‘wondrous toxic honey’ of rhododendron flowers collected by the honey hunters of Nepal: “It resembled drunkenness at first, but then became visual, like a magic mushroom trip I remembered from university. Painted dots were dripping across my irises like technicolor rain. My body felt light and tingly, filled with warm rushes and heat-bursts. It was wild and strangely wonderful” (Honey and Dust: Travels in search of sweetness). Image: Rhododendron forest on Manaslu circuit, Nepal | Spencer Weart via CC BY-SA 3.0. 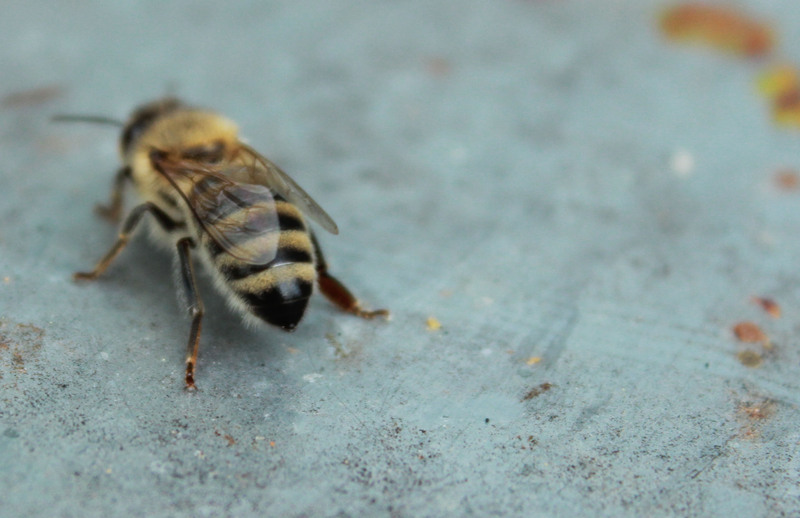 An incident of poisoning reported in honeybee colonies on Colonsay Island off west-coast Scotland in 1995, referenced in Yates Beekeeping Study Notes (Modules 1, 2 & 3). “The bees had died out completely in 2–3 days after starting to collect nectar from Rhododendron blossoms (Rhododendron thomsonii) caused by the poison andromedotoxin or acetylandromedol.” Ted Hooper writes on the case of Colonsay Island’s bees: “The West of Scotland College of Agriculture Study showed that the poison andromedotoxin was involved”. “The first thing that has to go wrong is to have a lack of species diversity. Generally, bees visit so many different plants that they don’t get a concentration of any particular toxin. This can go wrong, as in the west of Scotland, where Rhododendrons are almost the only thing in flower early in the spring. But, nectar from Rhododendron is toxic enough to kill the bees so they tend not to return it to the hive. Experienced beekeepers know not to let their bees out at this time of year. I haven’t seen any reports of poisoning from honey made from Rhododendrons.” John writes more on The poison garden blog, entry for Tuesday 27 September 2011. 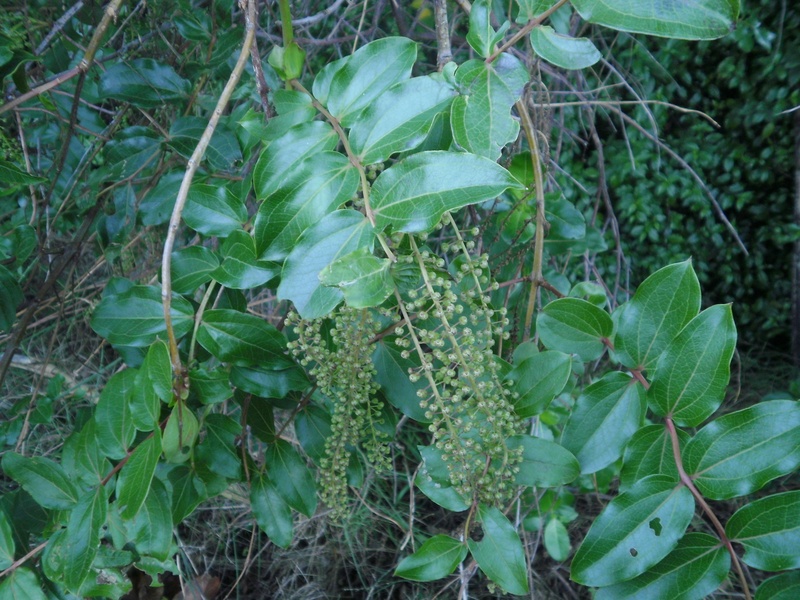 Image: Coriaria arborea | Rudolph89 via CC BY-SA 3.0. 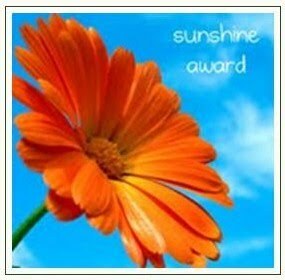 “Bees collecting nectar directly from the plant do not produce poisonous honey. But, a vine hopper insect also feeds on the nectar of the plant and excretes a sweet ‘honeydew’ containing a high concentration of plant toxins. Especially in times of drought, bees may gather this honeydew rather than nectar from the plants. Because this is a well-known problem, however, there have been no instances of poisoning from commercially produced honey since 1974. When four people were taken ill in 2008, the source was traced to honey produced by an amateur who was not aware of the problem. Another instance of the flaw in the belief that the more ‘natural’ something is the better it is for you.” Read more on The poison garden blog, entry for Thursday 30 June 2011. Image: Drone fly (Eristalis tenax) – not a bee! – on ragwort flowers | Francis Franklin via CC BY-SA 3.0. Rhododendron is not the only mischievous plant in the garden. Yates lists common ragwort (Senecio jacobaea) in its section on unpalatable honey as “an injurious weed in the Weeds Act 1959, is poisonous to cattle and horses causing damage to the liver with pyrrolizidine alkaloids“. However, bees work the blossom for nectar and pollen with no ill effects to produce a bright yellow honey with an unpleasant smell. 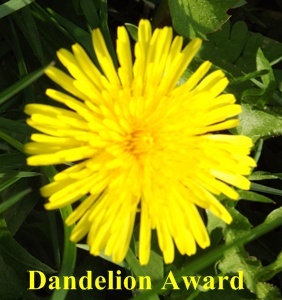 What other mutinous plants, then, produce nectar and pollen that is harmful to the bee? Image: Ranunculus macro | Laura Brolis via CC BY-SA 3.0. 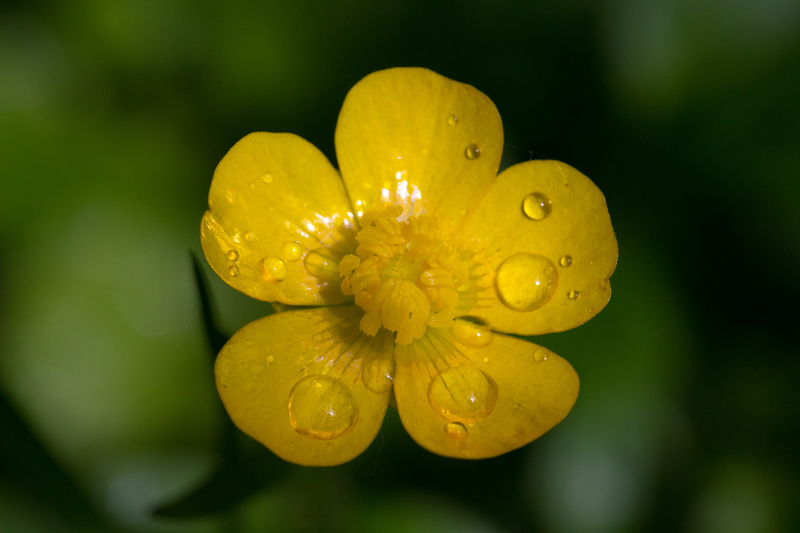 The innocent-looking buttercup that pops-up in spring has bitter tasting leaves from a toxin called protoanemonin present in the sap. In 1944 in Switzerland, spring dwindling, or ‘May disease’, occurred after bees brought home pollen from the Ranunculaceae family (buttercup): “Nurse bees appeared at hive entrances trembling and unable to fly, excitedly moving on the landing board, losing control of their legs, rotating violently on their backs, becoming paralysed and dying. The leaves of most species of buttercup are poisonous and avoided by livestock” (Yates). As the reference to this case is old, I dug deeper for something more recent. I found a study in the journal Functional Ecology, published by Wiley-Blackwell, which showed the contradictory effects of buttercup pollen and viper’s bugloss pollen in two closely-related species of mason bees: “While the larvae of Osmia cornuta were able to develop on viper’s bugloss pollen, more than 90% died within days on buttercup pollen. 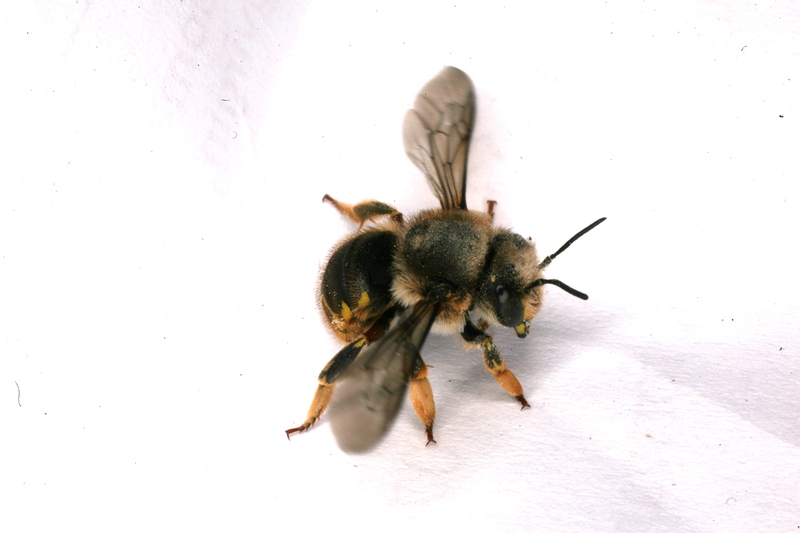 Amazingly, the situation was exactly the opposite with the larvae of Osmia bicornis” (Science Daily press release). The researchers suggested that some flowering plants used chemical defenses to prevent all their pollen being used by the bees to feed their larvae, rather than to pollinate the flower. 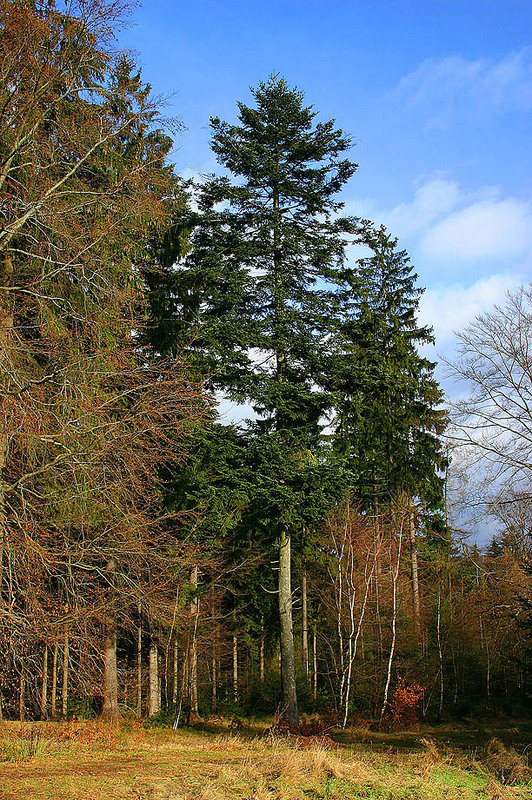 Image: Abies alba Schleus Berg | Thomas Dreger, Suhl via CC BY-SA 3.0. In 1951 another account of bee poisoning was reported in Switzerland, this time from the silver fir (Abies alba), which is a source of honeydew toxic to bees. “Thousands of returning foragers, with a waxy black appearance, were reported dying outside hives.” It was thought that sap-sucking insects feeding on the silver fir had converted the plant sap into sugars toxic to the bees (Yates). I was unable to find a more recently reported incident of silver fir honeydew poisoning in bees, although I came across a website that said silver fir honeydew honey is an “excellent table honey that goes well with cheese”. Is Abies alba still foraged for honey? If anyone has further information, I’d be interested to know. In California, the pretty blossom of the buckeye chestnut tree (Aesculus californica) wickedly beckons bees to feed from its nectar and pollen: “The bees become black and shiny, trembling and paralysed. Non-laying queens, dying brood and infertile eggs have also been reported. As this species covers 14 million acres in North America its effects on honeybees are well known to local beekeepers” (Yates). You can read more about the buckeye chestnut tree and the honeybee in this interesting article by the University of California’s Bug Squad. Then there is the mountain laurel (Kalmia latifolia), native to eastern US, introduced to Europe as an ornamental plant, and toxic to bees, humans and livestock due to the presence of andromedotoxin which could accumulate in the honey (Yates). However, the honey is reportedly so bitter that it’s unlikely to be eaten and cause poisoning (Wikipedia). All in all, it seems you’re more likely to come across a ‘poison honey’ in an episode of Poirot than find it on your breakfast table. 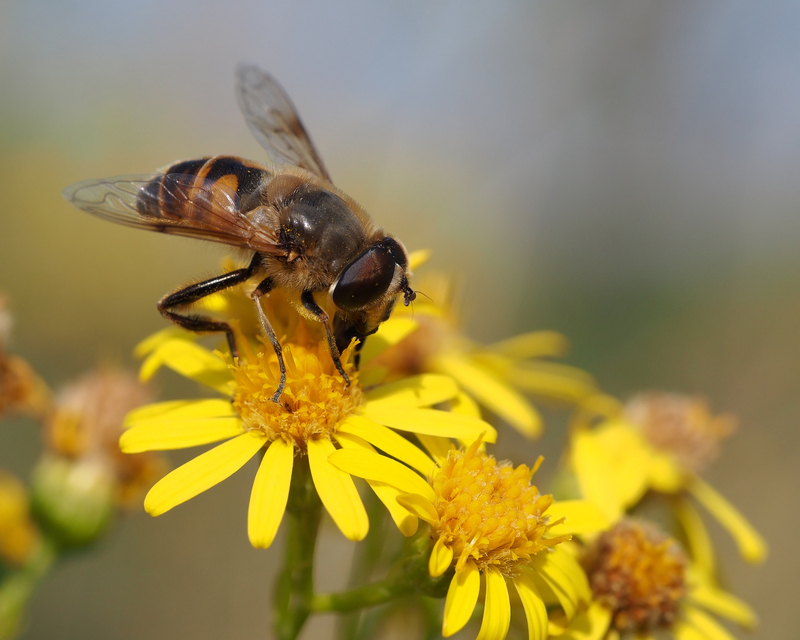 John comments that the taste and texture of ‘bad’ honey, such as from common ragwort which “is waxy and unpleasant”, is probably enough to prevent anyone from eating too much of it. That, then, puts the lid on a fascinating topic. A huge thanks to Dr Henry Oakeley and John Robertson for generously sharing their vast knowledge of plant lore for this post. If you’re interested in reading more about poison gardens or exotic plants, check out the links in the reading list below. EDIT 19.01.15: And if you enjoyed reading my post, thank you. I’ll be making some edits to the information given here in due course in light of further information. • Claudio Sedivy, Andreas Müller, Silvia Dorn. Closely related pollen generalist bees differ in their ability to develop on the same pollen diet: evidence for physiological adaptations to digest pollen. Functional Ecology, 2011; DOI:10.1111/j.1365-2435.2010.01828.x | sourced via Science Daily press release. Further winter studies for bees can be found in my blog index.